The decision on roster spots is closing in for Major League Baseball teams as they get ready to break camp in both Arizona and Florida. In fact, some of the teams have already announced some of, if not all of, their intentions. 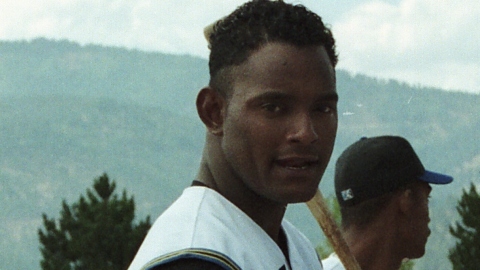 However, there are still players looking for teams to land on this season, with one of those being former Osprey reliever Jose Valverde (2000). Jose Valverde … still looking for a team at the moment. Can you only imagine how this will all play out? No matter where your allegiances lie, there is plenty of intrigue about to play out all over the place. There are about 106 days before Opening Night at Ogren Park Allegiance Field. Get ready Osprey fans!! – Ollie Osprey will be at Southgate Mall on Saturday from 11:30 until 1:30, dropping by for his annual visit at the Kids Fair. The Osprey will have a booth for the duration of the event, which will run from 10 a.m. until 6 p.m. Kids will be able to join the Ollie Osprey Kid’s Club at the event, as well as sign up for the Osprey Baseball Camp, taking place on August 14-16 at Ogren Park Allegiance Field. This is one of the best times of the year … and one of the craziest. Baseball is back, and the Spring Training games have begun. Which involves a couple of things … for one, highlights on Baseball Tonight and Sportscenter. It also becomes hectic for a bit every three years, because the madness starts a few days early due to the World Baseball Classic. Both Adam Eaton and Jake Elmore have been named Topps Triple-A All-Stars this week. Eaton, a 2010 member of the Missoula Osprey, and Elmore, a 2008 Osprey alumnus, both made the squad for their efforts this past season for the Reno Aces, the Triple-A affiliate of the Arizona Diamondbacks. Read the full story on Eaton and Elmore here, and more on the Triple-A All-Star Team here. As I get ready for my sixth season of calling Osprey baseball on the radio, I can look back fondly at a few former players who made quite an impression on me. And one of my favorites is tearing it up in the Pacific Coast League … and finally getting some love from the blogs. So now you’re wondering … it’s not our Adam Eaton (2010)? Well, he is also one of my favorites … but not the one I speak of. I speak of Jake Elmore (2008), of course, who has produced in a big way at the plate while showcasing nearly all of his versatility. The only position he hasn’t played this season that he has in the past is pitcher – he pitched in at least one game each of the past two seasons while at Double-A Mobile. First, the following announcement on Bird Droppings … we …. wait, breaking news first …. – It looks like catcher John Hester (2006) caught a good break when Chris Ianetta caught a bad one. The starting catcher for the Los Angeles Angels of Anaheim was hit by a pitch in the same game he caught Jared Weaver’s no-hitter, took three games off, then caught three more games before the diagnosis of a broken bone in the right wrist. Surgery will be preformed and Ianetta will be out for a while.